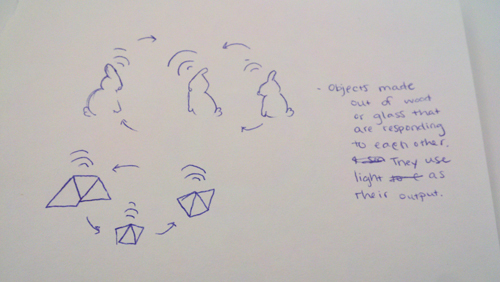 My concepts are all fairly similar, I basically know that I want to work with a group of small objects that are networked together and communicating. 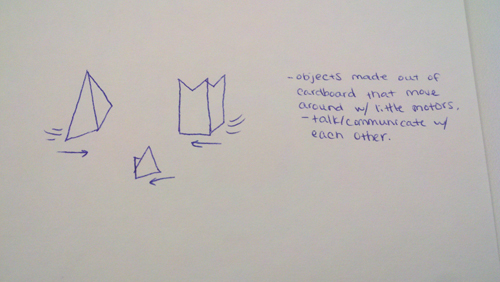 Idea 2: Little objects made out of cardboard that have small motors/wheels that they can move around with. They communicate and are always trying to find each other. Once they find each other, they stop moving. 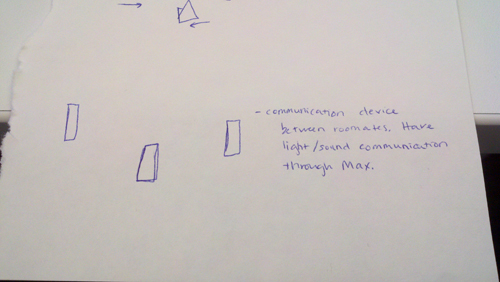 Idea 3: Small sound objects (with some light) that serve as speakers that can communicate. They’re running on max, and work together to build off each other’s sounds. Possibly made out of clay or ceramics?